Paving is an investment. Choosing the right patio flooring is one of the most important steps in building or renovating your outdoor living space. There are a lot of choices available in the market and each one provides a certain character to your patio. To help you out, here’s a comprehensive guide about the most common landscaping pavements in the country. You can weigh-in the pros and cons of using the material and hope this helps you pick an ideal patio pavement. Limestone can have a smooth or rough finish. There’s also a wide range of colours available from off-white, pinkish white, bluish, grey, and tan. It’s great for making contemporary patios. In addition, limestone are fantastic in areas with warm climates. The material has high solar reflectance index (SRI), meaning the stone reflects the heat of the sun rather than absorbing it. As a result, your floor stays cool in bare feet. Limestone should be cleaned using mild cleansers diluted in water. This material is highly sensitive to acid and it may erode if you used acidic cleaners. Like the limestone, this type of flooring stays cool to touch. 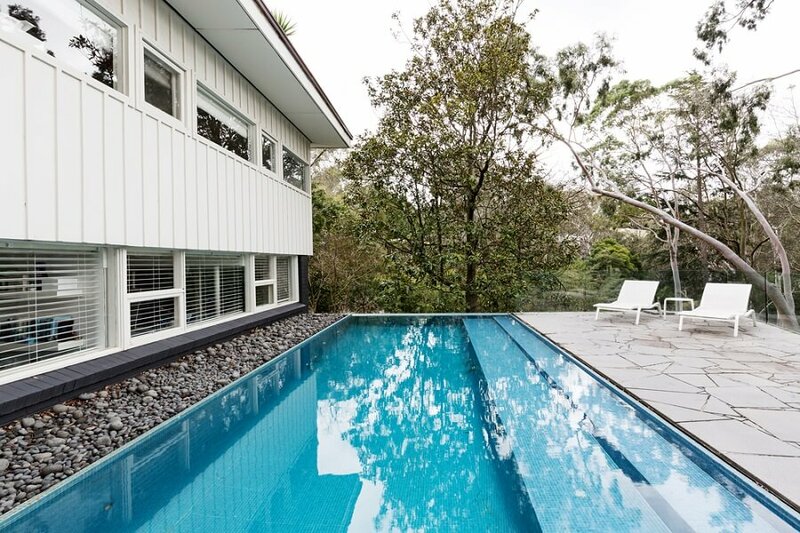 It’s slip-resistant and less porous, hence it’s the best flooring for areas near the pool. You have to get the right cleaners for travertine too because acidic solutions can damage this stone’s beauty. Slate has stunning colours from deep charcoal to jade green. It’s strong, durable, and can survive the coldest winters. It will freeze and thaw but will not break. You can also purchase it in rough or smooth finishes. Architects prefer the roughly textured ones for outdoor use so the patio flooring remains non-slip. 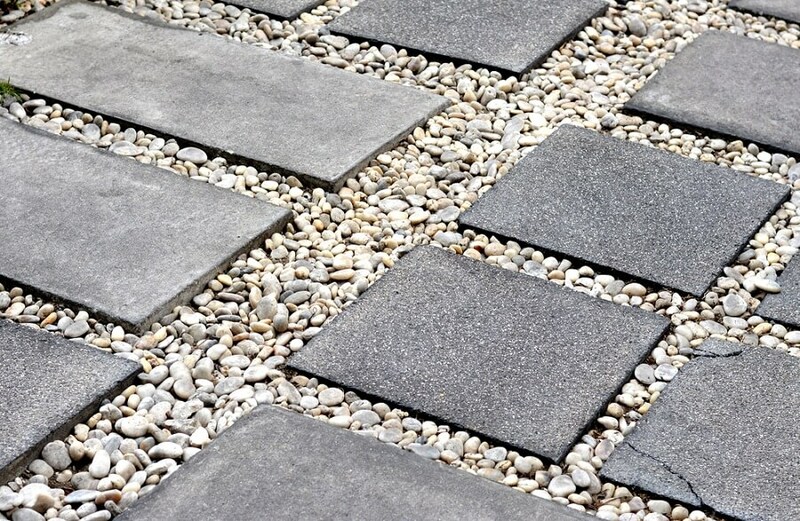 These are small, rounded stones which are fitted together to form a path and interesting floor surfaces. Natural stones can be very expensive and delivery costs can get high. To cut the cost, we recommend that you buy directly from quarries instead from dealers. You can also scout for these stones in reclamation yards, where they are relatively cheaper. However, you might end up having pieces of different sizes and thicknesses which are hard to work with. Broken and irregularly shaped pieces can work too if you’re planning to do crazy pavement patterns. In addition, these rocks are heavy to work with. You’re going to need solid foundation underneath these pieces to prevent them from breaking or cracking. It is also advisable to get professional help because installing these kinds of flooring material are complicated. 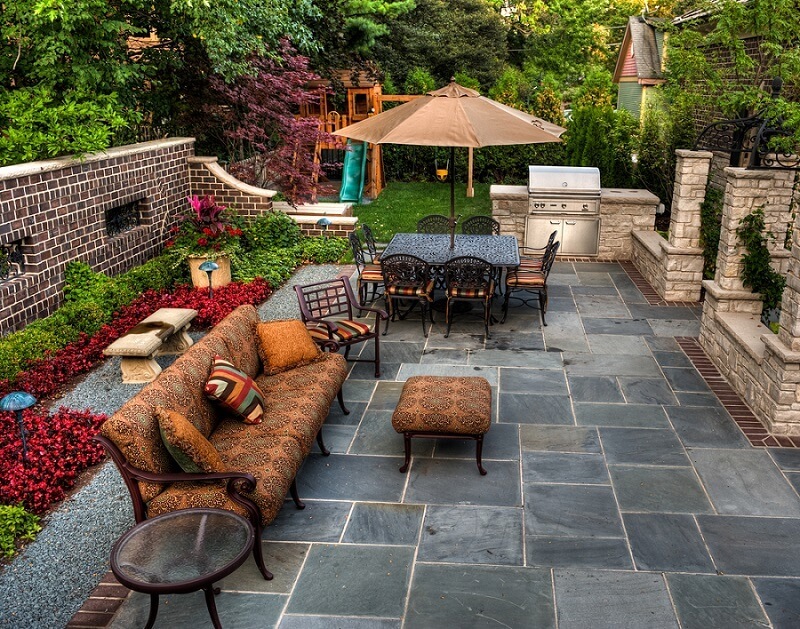 If the natural stone is out of the budget, you may switch to reconstituted stones as your patio flooring. These materials consist of grounded natural stone mixed with concrete and moulded into different shapes. Due to modern technology, some high-quality reconstituted stones look real. Compared to the legit natural stone, reconstituted ones are more convenient and easier to install. 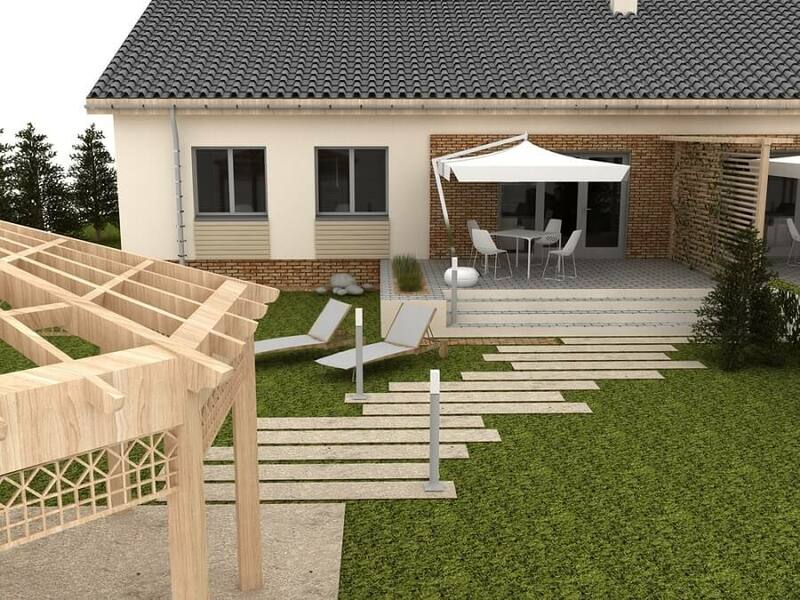 The market offers patio kits with regularly shaped pieces which are not difficult to lay on the ground. Bricks may be old school building materials but they are timeless! Some of the things that homeowners like about brick are their natural red colour, which is great for small, intimate looking patios. Lay good quality bricks well in your outdoor living space and it should last a lifetime. Another thing that you should love about bricks is their small size. 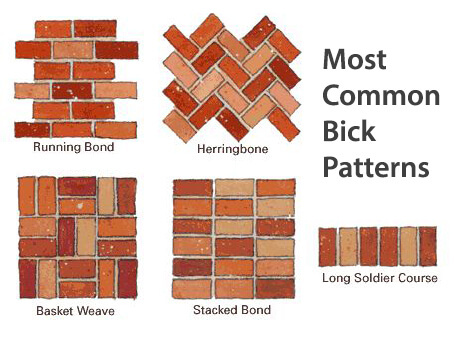 A 4×8 clay brick can flexibly form patterns like the basket weave, herringbone, running bond, and the stacked bond. It’s also the best material to pair with other landscaping materials. 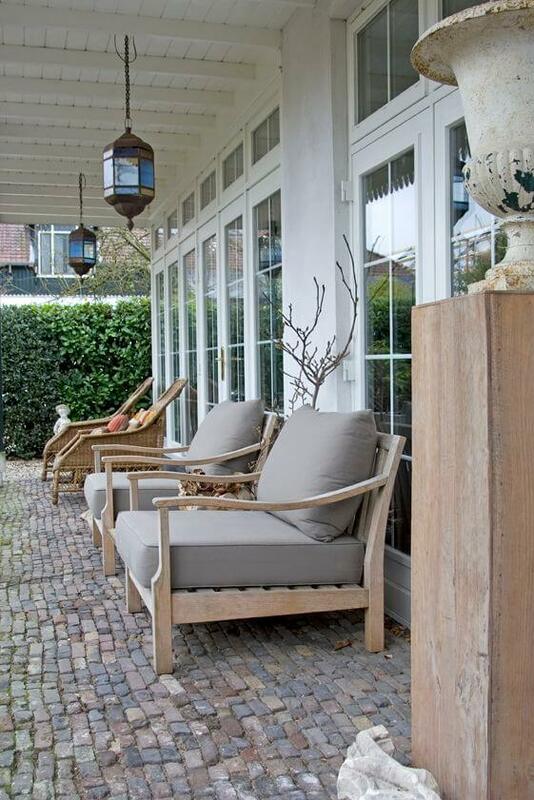 Designers most commonly mix and match bricks with wooden decks or natural stone. However, ordinary bricks are porous and will most likely retain moisture. This causes the growth of slippery moss, especially during the winter and wet season. Scrub off these moss and other unwanted dirt off your pavement using a brush and bleach solution. Bricks are reusable. Before buying new ones, try searching for quality secondhand bricks from reclamation and demolition yards. Bargain so you can get them at a very reasonable price! Concrete is the most affordable and the easiest landscaping pavement to maintain. Go for concrete if you want a sure hardwearing surface at a very low-cost. There are two types of concrete pavements you should know about: the pre-cast and the cast-in concrete. Cast-in concreting is a construction standard and is flexibly used in a lot of project types. Here, the builders mix and pour concrete on a custom wood mould that’s based on the planned design. It can be built in any size and shape and can be easily altered using different stains and stamps. On the other hand, the pre-cast concrete or the modular pavers come in different sizes, shapes, colours, textures, and patterns. 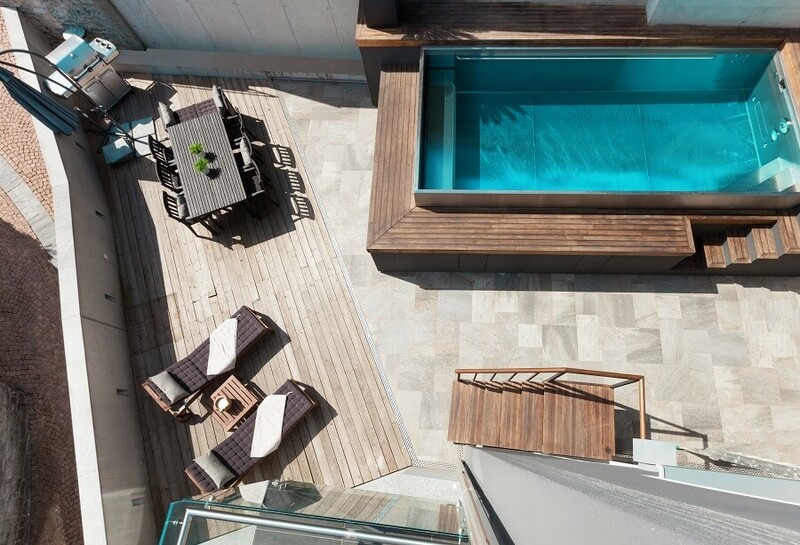 It has pieces that are designed to fit together and form a design which makes your patio floors interesting. Looks vary from hexagonal, rectangular, or circular. In using concrete as you patio floor, you should use the right concrete mix and lay it properly. Error in these procedures may lead to unwanted cracks, which makes the concrete vulnerable to weather and other future damage. Seek for help so you’re sure to get it right and levelled. Another classic yet stunning patio flooring option is wood decking. Outdoor spaces made from wood are usually less expensive and easier to construct compared to patios made from other materials. Wooden patios are also recommended for smaller patios located in a sloping land. Instead of digging to level the ground, the builders can use posts with different lengths to support the patio. It cuts the work and gives you a deck that seems to float above the ground. The only downside of wood is that it’s not as long lasting as brick, stone, or cement. It also requires regular maintenance to keep it in great condition. How to save dollars on wooden decking? 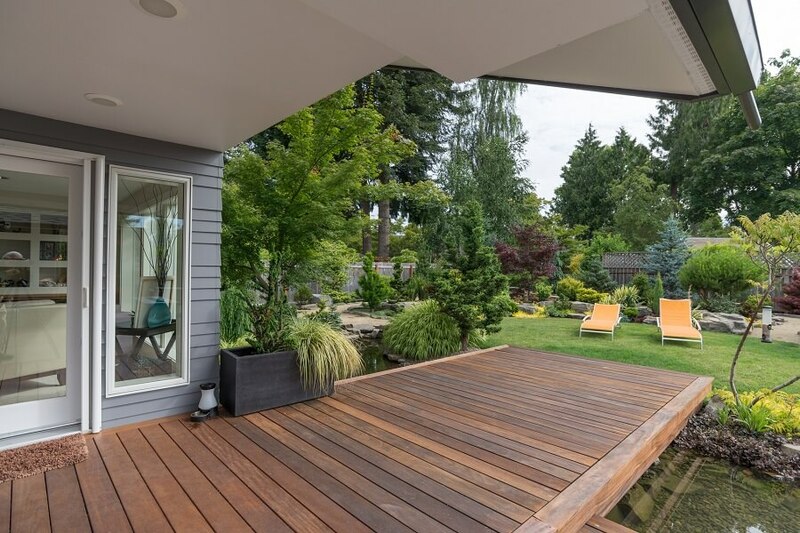 The price of wooden decks varies depending on the complexity of the design. 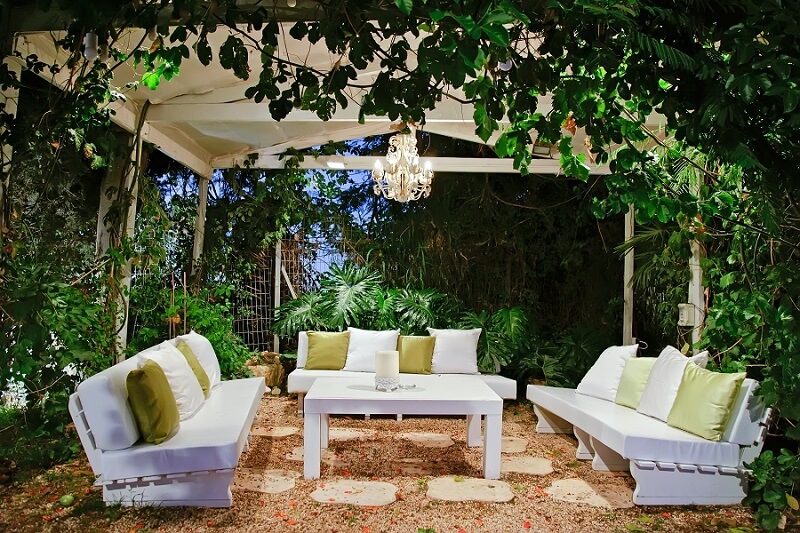 To get the most out of your money, search for excellent outdoor living space designers whom you can trust. At the same time, watch out for upcoming sales of building materials so you can plan construction ahead of time. Gravel stones are popular for it adds texture to your outdoor space—it crunches under your feet and creates rough features on your patio. You can pour gravel as it is inside edging boards or you can pair them with other landscaping materials such as brick, stone, or wooden decking. Other designers put pea-sized gravel in between flagstones or pre-cast concrete to create stunning rough-smooth texture. In addition, using gravel in your patio helps prevent runoff caused by snowmelt and spring rain. Water will pass through the spaces between the rocks and will be absorbed by the soil underneath. You also need to keep an eye out for growing weeds in gravel. Pull these weeds out by hand if you spot them. Lay contractor-grade landscape fabric before the gravel layer in order to suppress the growth of these weeds. Generally, you should purchase gravel in bulks. This way, you can bargain for a more reasonable price. It’s okay if you bought more than what you need. Keep the remaining gravel in a safe area and use it to maintain the gravel in your outdoor space. 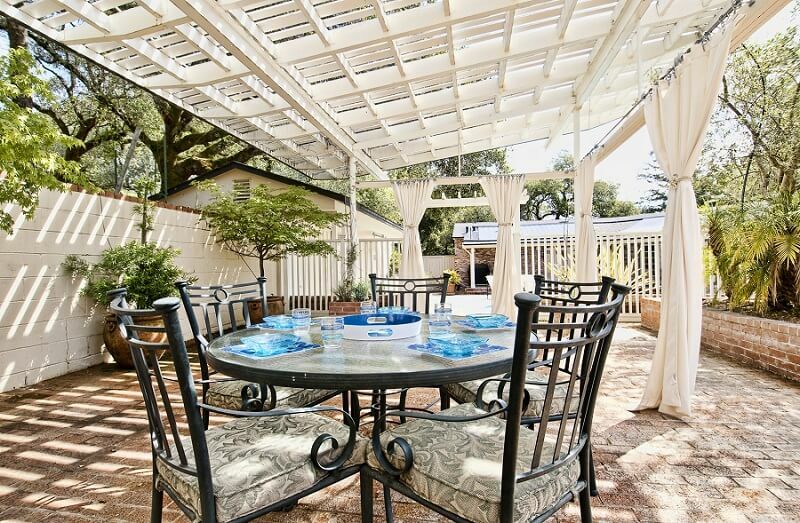 Are you ready to build and renovate your patio? Send us a message using the form on the sidebar and we’ll be happy to assist you! Find Building Designers in Perth.